But don't take your furniture to a professional refinishing company or other reparative worker just yet—try tackling the water stains yourself with a mixture of toothpaste and a soft cloth. As the experienced home remodeler Bob Vila suggests, toothpaste can do wonders while also saving you the cost and hassle of professional refinishing. Vila recommends using a tube of white toothpaste. The gel varieties, if those are are your favorite, won't get the job done as well. 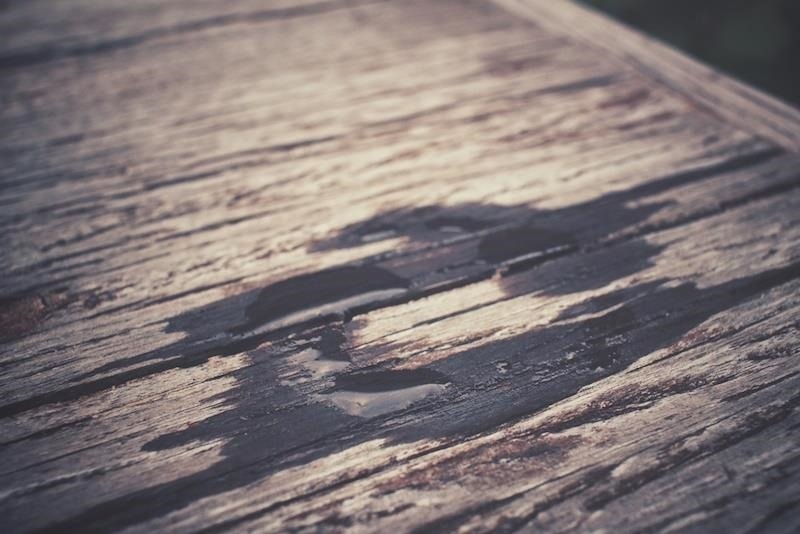 Squirt the white toothpaste onto a cloth, or rag, of your choice, and rub it onto the present water stains on your wooden surface. Don't scrub too hard; after a few circular scrubs, you should begin to see the stain lift off. Limit your scrubbing to the stains you can see, though. If you use toothpaste, or another substance, on other areas of the wood, you may strip more than just the shiny finish from the surface. 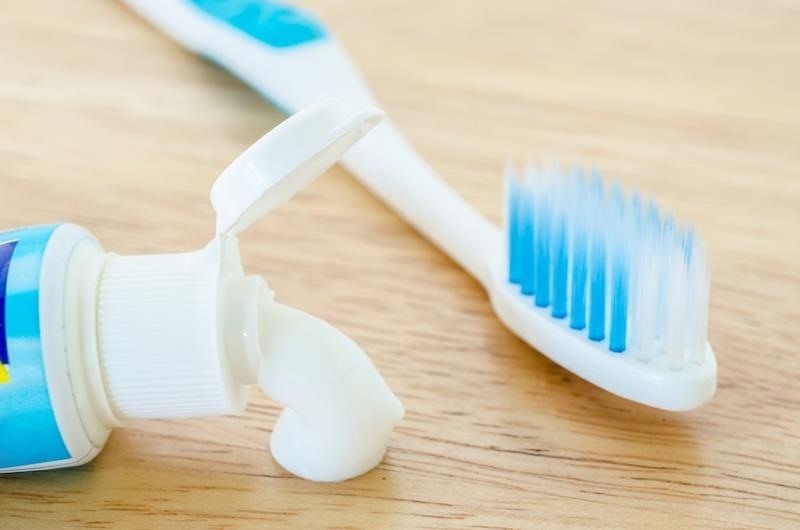 Toothpaste may easily remove stains like water rings, but if your wood-related problems are both more serious and more permanent, consider adding baking soda to the mix. Baking soda and toothpaste together, according to Good Housekeeping and Reader's Digest, creates an even more potent scrubbing solution. As soon as you discover a water ring, or evidence of one forming, use a damp cloth that features a dab of toothpaste and an equally-sized addition of baking soda. This blended mixture should then be rubbed over any area water spots appear, or are starting to. If you don't have toothpaste on hand, you can also try mayonnaise, white vinegar and olive oil, petroleum jelly, an iron, or car wax. Surprised with other application of toothpaste as stain removal.